Can you build a skatepark in my hometown? Unfortunately not, we don’t actually build skateparks. 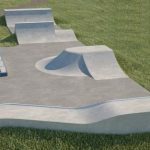 However, if you check out our resources section it will show you exactly how to go about getting a skatepark built in your area. What does crowd sourced mean? Crowdsourced essentially means that anyone can submit content to the site, subject to moderation. There are nearly 1,400 skateparks in the UK and being based in London makes it very hard to get out there and get photos and information for them all. So, we need your help to make The Skateparks Project the complete and comprehensive guide that we all want it to be. That’s great news! If you want to submit any content to the site then do it either here or follow the ‘Submit Content’ link on any of the skateparks pages. Be sure to let us know which skatepark it is of and if it is suitable we will upload it to the site and credit your image. Unfortunately some of the skateparks out there may have slipped through our net. 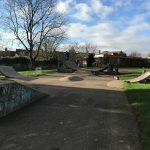 If we are missing a skatepark that you know exists please let us know here. If you’re right we will rectify the error and can credit you on the site for the world to see! 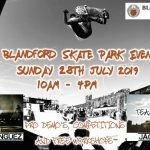 As we are not able to visit every skatepark in the UK there is a possibility that some of our information may be wrong. If so please [let us know here] and we can correct it right away. We are always looking for new writers to join us here at The Skateparks Project. 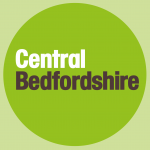 If you think you got what it takes then [get in contact with us] and tell us a little bit about you, why you think you would be right for us and some examples of your work. For all advertising and marketing enquiries please contact us here.